July 20, 2011 - Gulfstream Aerospace Corp. announced that it has renamed the super midsized Gulfstream G250 aircraft; the business jet is now called the Gulfstream G280. As demand for Gulfstream business jets grows around the world, the move was prompted by the company’s sensitivity to the varied cultures of its international customer base. “Since introducing the Gulfstream G250 in 2008 and presenting it to customers around the world, we determined that G280 is a more amenable number sequence in certain cultures,” said Larry Flynn, senior vice president, Marketing and Sales, Gulfstream. The renaming will not affect any other in-production Gulfstream aircraft. 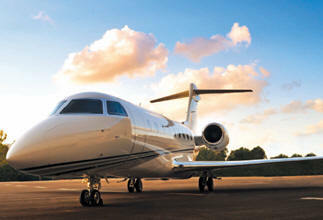 Gulfstream introduced the G280 during the NBAA Conference and Exhibition in Orlando in 2008. It offers the largest cabin and the longest range at the fastest speed in its class. The business jet is capable of traveling 3,400 nautical miles at Mach 0.80 and has a maximum operating speed of Mach 0.85. With an initial cruise altitude of 41,000 feet, the G280 can climb to a maximum altitude of 45,000 feet. Its 3,400-nautical-mile range means the G280 can fly nonstop from New York to London or from London to Dubai. The aircraft features an all-new, advanced transonic wing design that has been optimized for high-speed cruise and improved takeoff performance. At maximum takeoff weight, the G280 can depart from a 5,000-foot runway. In terms of passenger comfort, the G280 features the largest cabin in its class, with 17 percent to 35 percent more floor area than other large-cabin, mid-range business jets. The additional space provides for a larger lavatory, an improved galley and increased storage. The aircraft also features 19 panoramic windows, industry-leading sound levels, a vacuum toilet system and in-flight access to 120 cubic feet of usable volume in the baggage compartment. The G280 flight-test program is well under way. The three aircraft in the test program have exceeded 1,400 flight hours over 525 flights. At the same time, manufacturing of the first non-test aircraft, S/N 2004, is complete, with production acceptance testing under way at Israel Aerospace Industries near Tel Aviv. Production of the interior furnishings has begun at Gulfstream’s mid-cabin completions center in Dallas, where the G280 will be outfitted and painted.